All of these issues are critical to the future of Dartmouth’s community and all of them need a response to stop them continuing to decline. Click on the BIS symbol to read more. How is Dartmouth Town Council responding to these challenges? In our opinion they are focused on an introspective agenda aimed at reinforcing their own status without the justification, or the resources and skills to do so. They appear to show little concern for the economic development of their town. This also applies to South Hams District Council who are choosing to place our regatta under threat by increasing their charges for road control and parking. This may fill some of their budget gaps but it represents a threat to the financial health of Dartmouth. Transfer of Devolved services (liabilities) from SHDC to increase the Councils assets. Couple this with the fact that, under the control of Town Council directors, our tourist organisation, the Dartmouth Visitor Center, has relinquished control of the most valuable collateral the town has for encouraging visitors to come here, our Discover Dartmouth brochure and website. The website is now so diminished by the loss of subscribers that it is no longer an accurate directory of what to do and where to stay in Dartmouth. 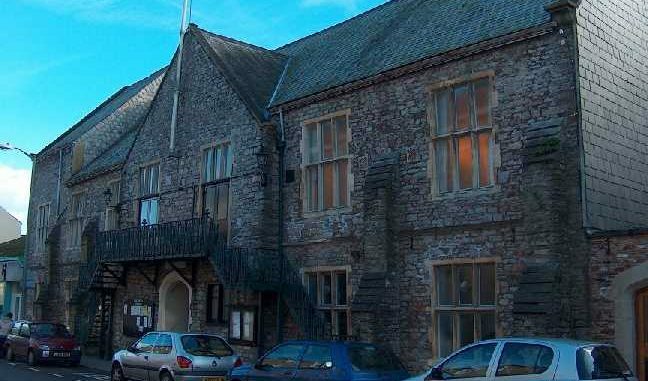 Is our Town Council fit for purpose? I am not going to answer that one but I will leave it to our readers to make their own comments on this. “Your town council, despite near constant derision from some quarters, is active and working for Dartmouth in many ways, but good news does not sell newspapers. We have a bright future in this town,­ despite the activities of the naysayers. Re the DVC and Discover Dartmouth website – The result of not offering a basic free listing on the Discover Dartmouth website (as many other Destination websites do) and a paid-for option with an enhanced listing/advert, is a website that is not even remotely fit-for-purpose. Here are a couple of examples – 1) The ‘Clothes Shops’ section list a grand total of 2 establishments, 1 of which is Baxters Gallery. 2) Under ‘All Shopping’ in Dartmouth, there are a grand total of 9 shops listed. Of that 9, 1 is the DVC itself and 1 is a convenience store in Kingsbridge! There are other areas of the website like Pubs/Hotels and Galleries where the information is partial, at best. There are other wider questions about why local businesses are generally opting not to advertise on the website and I appreciate that the DVC don’t own the website anymore, but surely they can have some impact on how it is run? Surely the DVC Directors who are Cllrs can exert some influence? If the website strategy doesn’t change, I suspect there will be even fewer advertisers next year and what is already a limited resource for visitors will become irrelevant. 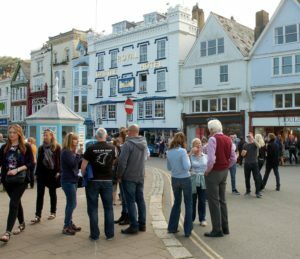 The footfall figures for Dartmouth may or may not be accurate but they are irrelevant as pointed out by some of the most prominent High Street traders. Footfall is at its highest during Regatta yet this is a week when many High street shops have some of their lowest takings. Paul Reach does most of his business on the art internet and not from his art shop in Lower Street. And he is being disingenuous about this. Firstly Brian I no longer run the Gallery but you have no knowledge of where our business comes from and I can assure you that less than 10% of the business comes from the internet. Secondly you are assessing the situation from a residents viewpoint, but Dartmouth is a tourist destination and people should come to visit the town for the town itself and as a bonus they shop in our tourist oriented shops. However we have failed to promote the towns attractions to tourists so we are suffering from low footfall. Other tourist destinations are successfully keeping footfall numbers up with good marketing and promotion.We should be doing the same, as without tourism we have very little industry to keep the economy thriving. Of course residents aren’t interested in the tourist shops, but they are now well served for their daily shopping by the supermarkets. Finally during regatta the footfall in the town is down on the previous week because the footfall is concentrated on the embankment and Coronation park where the visiting traders pick up the benefit not the resident traders in the town center. Brian may not have knowledge of your business but it is increasingly apparent that you do not have any knowledge of the visitor centre’s business either. And, as you are clearly irritated by Brian’s assumptions, you can probably imagine that I am equally irritated by your assumptions about DVC’s marketing strategy. You don’t have a clue where we distribute the excellent Discover Dartmouth brochure or how many are produced and how much impact they have. What we do know is that Dartmouth isn’t the only place that is suffering from fewer visitors so please stop laying the blame at our door. It isn’t helpful or productive to keep running our efforts down. Firstly Gina I was a subscriber to the TIC for 14 years so I am very familiar with your marketing efforts and I can see the results on my website analytics. Most digital aware businesses can measure how effective their marketing investments are. So my assesment is from the subscriber side, which is the most important side for you. The suggestion from Cllr Allen that the TIC carry out a survey of dartmouth businesses was rejected but that is exactly what you need to do. I talk to many businesses in town who express their views on the DVC so I do gather a lot of feedback. Secondly you say I don’t have a clue where the Discover Dartmouth brochure is distributed! that’s exactly my point, if you want to encourage subscribers you have to sell them on the idea of advertising and the distribution of the brochure is one of the facts you should be selling to subscribers. 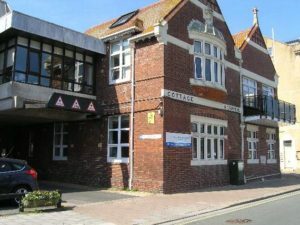 Thirdly, I have offered the DVC help and assistance with their digital marketing in the past and even got as far as an agreed meeting with you for coffee to discuss how I might be able to help at no cost to the DVC. I just want Dartmouth to reach its real potential, but,as you well know, you cancelled our meeting for no reason 24 hours before we were due to sit down together. So yes I do get frustrated because you could have lots of help if you were open to suggestions but you are not and that is not good for the DVC or for Dartmouth. Finally I have every right to comment on the activities of the DVC as you get financial support from my rates, that is very different to Brian commenting on my private business. You are also the only organisation left which is meant to promote the town so there is noone else I can talk to about the Marketing of the town. For your information I have removed your recent comments ref the Dart Gallery as I am told they include the content of private emails and also factual inaccuracies. With regard to offering free basic entries in the Brochure and website, the point of this is to make sure it is a complete directory of businesses in the town. It is now so incomplete that it has little value to visitors. You would then get subscribers to pay for a full entry with website links more details and specific promotion through your media campaigns (if you have any). You clearly dont understand what Discover Dartmouth should be. Likewise the map only shows paying subscribers so that is also incomplete and therefore much less use for visitors. Firstly, my comment to the Dart Gallery did not have any factual inaccuracies and I can prove every word I wrote. I don’t remember saying anything about emails except to point out that they were sent and I did not mention the contents other than to say that they said exactly the same as some phone calls. You may have been familiar with the marketing efforts of a previous board of directors years ago but times have changed and we have changed with the times in many ways. And, anyone who wishes to be a subscriber will be given the full details of the distribution of our brochures. Obviously, this is a major selling point for potential subscribers and our sales team knows that. Cllr Allen’s suggestion of a survey was not ignored. We actually carry out surveys of the business community everytime we sell the brochure advertising. We are thinking about what type of survey would be appropriate and who to ask before jumping into it. We also need to know exactly what questions we need answers to. Just asking how their business is doing isn’t very productive. And, without having a way to confirm the answers, how will we know that the facts given are correct? Some businesspeople that I know automatically say that they are doing badly and blame the council! Yes, I did have to cancel our meeting but it was for a very good reason. The problem is that I really don’t want to be told that we are doing everything wrong and that only you have the magic formula to make it better.I have read your suggestions on here many times. I have no problem with you commenting on the visitor centre at all, the problem I do have is that you only tell us that we are, basically, useless! We feel that after a standing – or less – start, we have done exceedingly well this first year. We are doing our best to promote the town and have done amazingly well to get the Newcomen Engine into the spotlight after years of it languishing in the back if the TIC. 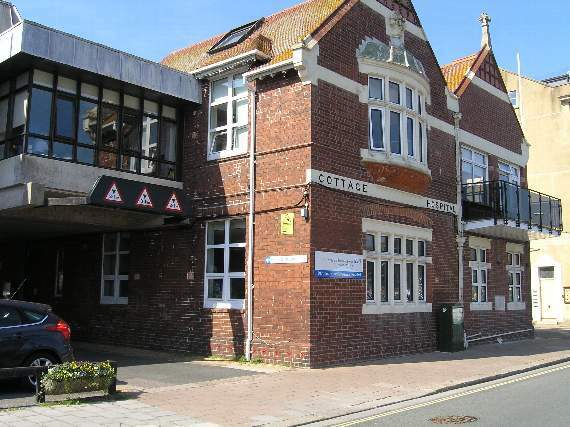 We have plans for all sorts of improvements, the first of which will if permissions are granted, see Dartmouth having a 24-hour cash dispensing machine at the visitor centre, something that will be of great benefit to residents as well as visitors. This first year has been one of discovery in many ways and changes cannot always be made instantly. I wish that you could find a way of supporting us instead of doing the opposite, just occasionally? You simply don’t get it do you Gina! I have not said the DVC are doing everything wrong, just that there are many things you could be doing but are’nt. Exasperating! I give in. You give in? Does that mean that we won’t be told continually what we ought to be doing? That’s so good to hear. Let’s make a pact – we will continue to do OUR best for the town if YOU stop telling us how to do it. Sounds like a plan to me. Whatever happened to team work. I never give in Gina, just an expression! Hope you don’t mind if I keep a critical eye on what you are doing with my money. Most things go wrong when people fail to speak out, not when they do. That’s enough philosophy for today. Of course you can keep an eye on us. And we will do our best to spend your money well.